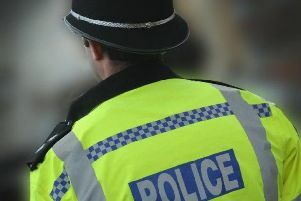 A former officer from Warwickshire Police did commit gross misconduct through his illegal use of force systems, a hearing has ruled. Norman Stephens, 47, of Hatton Park, was accused of "abusing his position" by accessing the force's incident management, intelligence, police address search and number plate recognition systems without a legitimate policing purpose in May and June 2018. At a special case hearing chaired by Chief Constable Martin Jelley, held yesterday (Thursday 11 April), it was determined that Stephens' actions amounted to gross misconduct and breached standards of professional behaviour. It was found that if he hadn't previously resigned he would have been dismissed from Warwickshire Police. He will now be placed on the College of Policing barred list. In February, appearing at Warwick Magistrates' Court, Stephens was given a 12 month community order after pleading guilty to four counts of causing a computer to perform a function to secure or enable unauthorised access to a program or data. Helena Bennett, Head of Professional Standards for Warwickshire Police and West Mercia Police, said: "Stephens' actions were entirely inappropriate and were clearly an abuse of his position of trust. "As police employees we have access to systems containing a lot of sensitive information and we are expected to have a legitimate policing purpose whenever we access them. Stephens was accessing information for personal reasons and as such is now barred from working within the policing family." The outcome of the misconduct hearing is subject to the normal appeals process.